(The Freeing Energy Project is pleased to welcome Sam Easterby as a guest blogger for this week’s post. Sam is a long time behind-the-scenes supporter of all the work we do here). That outdated business models, conflicting interests, and aging technologies hogtie today’s behemoth electric utilities is no more evident than in the picturesque rural community of Taos, New Mexico. It is there that an inspired and tenacious collection of local energy champions have upended the sluggish pace of change that is the “business as usual” of many utilities. For those of you who don’t believe the actions of a few can stir great change, this is a story worth sharing. And it is a first. There are some 3,000 municipal and electric cooperatives providing electricity in the United States and this is the story about the first electric coop to break ranks with a major utility. So, who are the actors in this drama? The utility is the Colorado-based Tri-State Generation and Transmission Association. Tri-State operates as a wholesale electric power generation and transmission cooperative and has 43 electric coop members across four states. It has a generation capacity of 2,841 megawatts (MW), including 1,874 MWs from coal-fired base-load facilities; and 967 MWs from gas/oil-fired facilities. In 2000, Tri-State signed 40-year contracts with 14 member cooperatives to provide stable wholesale electricity prices to members. Yet, over the course of the next 13 years, wholesale prices were raised nine times. This did not sit well with members. Our next actor is Kit Carson Electric Cooperative (KCEC). From 2000 to 2016, Kit Carson was a Tri-State member cooperative (coop). KCEC purchased wholesale electricity from Tri-State and resold it to their 29,000 electric customers across Taos, Colfax and Rio Arriba Counties in New Mexico. As prices continued to rise from Tri-State, Kit Carson executives realized that there was an increasing demand from customers to shift to cleaner renewable sources of energy. They also realized that the cost of locally generated renewable energy was plummeting, making it much more cost competitive than power produced by older, centralized, fossil fuel-generation facilities. Yet, its long-term contract with Tri-State tied Kit Carson’s hands, including limiting KCEC’s acquisition of renewable energy to just 5% of consumption. Kit Carson CEO Luis Reyes realized his coop members were paying too much and argued that local generation of electricity saves money, cuts transmission costs, provides local employment, earns tax revenues for local governments and most importantly, helps stabilize electricity costs. Teaming with a local non-profit, Renewable Taos, Kit Carson embarked down a visionary path toward a goal of providing 100% of its electricity from locally generated renewable resources that simultaneously would lower the cost of electricity for its retail coop members and customers. A key member in this partnership is Renewable Taos founding member Bob Bresnahan, a retired Nike executive, who in 2010 turned his concern for climate change into an action plan and found a partner in Kit Carson. But Reyes also knew he needed a partner on the energy side of the effort. And that introduces to this story a third actor: Guzman Energy is an energy-services provider that finances, trades and operates energy assets across North America, and specializes in the procurement of electricity for utilities. Like the leaders at Kit Carson and Renewable Taos, Guzman Energy executives value the enormous potential for renewable energy generated locally and recognize opportunities to address the inefficiencies of the traditional utility model. In a September 2016 interview with the Denver Post, Guzman Energy President Chris Riley stated, “We are using market forces to reconstruct the grid.” Those market forces are focused on renewables and local energy. In 2014, Guzman Energy and Kit Carson crafted a plan to leverage the dramatically lower cost of locally generated solar power, but KCEC was still hamstrung by its commitment to coal-heavy Tri-State, which in 2014 still had a remaining 26 years of contractual obligation. Guzman Energy and Kit Carson engaged in intense negotiations with Tri-State to buy-out KCEC’s 40-year contract. The battle between the firms continued until Tri-State lost on key decisions both at the Colorado Public Utilities Commission and Federal Energy Regulatory Commission levels. When it did so, Kit Carson and Guzman were finally free to pursue their vision—albeit with a hefty buy-out price: $37 million. And yet even with KCEC having to pay the heavy penalty to absorb the contract-ending charges with Tri-State, the new partnership with Guzman Energy is on pace to save Kit Carson’s coop members a remarkable $50 million to $70 million over the course of the 10-year service contract! This is as a result of Kit Carson customers scheduled to pay rates equal to rates paid to Tri-State for a period of four to five years (to repay the upfront buyout) and then see a projected reduction of 45 percent in rates thereafter. To make the economics work, Guzman and Kit Carson are banking, in part, that the dramatically lower costs affiliated with producing energy from renewable resources will continue—a trend the majority of energy experts see as very likely. And to that end, Guzman in 2017 began placing 30 one-megawatt (MW) solar projects throughout its territory. These solar-based, local energy solutions will provide 30 percent of the total electricity demand—and 100% during daylight hours on sunny days—by 2022. Guzman will coordinate power requirements supplementing energy from other sources including wind and natural gas, and as solar power is added and solar energy is produced, costs will continue to decline for the venture. This means Kit Carson customers reap the benefits with lower energy costs and clean, reliable energy that is locally produced. How is the move by Kit Carson being viewed by other Tri-State member cooperatives? On January 19, 2018, the La Plata Electric Association (LPEA) in Colorado—a Tri-State member cooperative—voted to establish a commission to study the role renewables should play in future energy planning, with concerns of rising costs and environmental effect playing a big role in setting up the commission. And how about Tri-State? 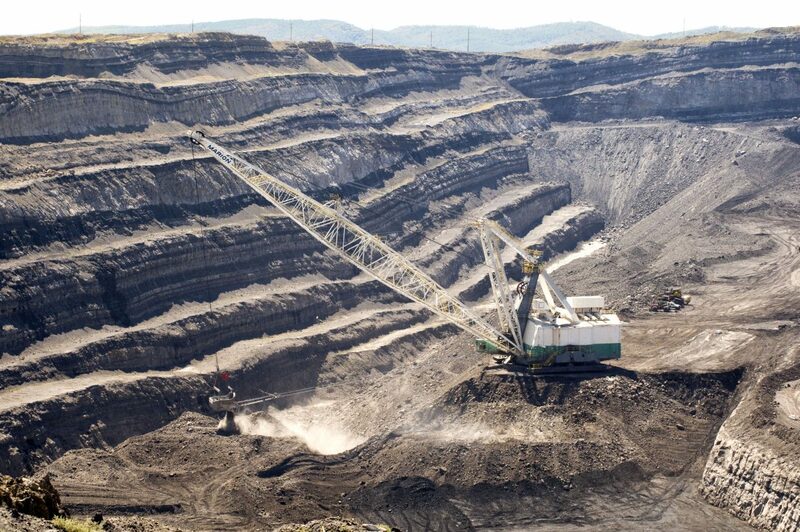 In January of 2018, the coal-heavy supplier began pursuit of a state air permit that is necessary for the long-term operation of the Colowyo mine in Colorado and the future of the coal-fired plants it serves. And Tri-State continues to advocate for rate increases, in part due to revenue lost as a result of the Kit Carson cooperative no longer purchasing Tri-State energy. And interestingly, Tri-State also recently has begun to explore increasing its renewable energy profile, claiming that some 30 percent of its electricity produced comes from renewable resources (including hydropower purchased from the federal government). Tri-State is in a tricky position. In the early 2000s, guidance from the federal government encouraged expansion of fossil fuel-generating facilities, but those investments require exceptionally long-term contracts to satisfy the demands from investors—which then limits Tri-State in its ability to shift capital to lower-cost energy resource options. Editor’s note: The Freeing Energy Project will be launching a Local Energy Champions podcast series this fall. Our first interviews are with the leaders of Kit Carson and Guzman Energy. They will be sharing their stories directly with our readers and listeners. Stay tuned for information on the timing and launch of our exciting new podcast series! Additional Tri-State coop customers are considering defecting and procuring their own electricity (Energy News). Rocky Mountain Institute weighs in on Tri-State’s economics and opportunities to embrace more renewable energy (RMI). Thanks a bunch for chiming in. Your comments motivate us to dive in a bit deeper on how the prices shifted around. What I do know is that Kit Carson had a specific rate structure locked in for forty years with Tri-state under the original contract. It’s possible that this rate was higher than the average Tri-state customer base.